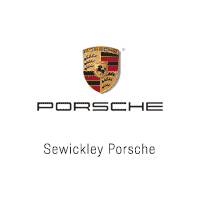 In 1976 my mother and Bob opened the Sewickley Car Store. I was 6 and that was the beginning of my love affair with the automobile. As a young child I traveled with Bob who was an SCCA national racer and an avid PCA participant. With the time spent at those events I met the people involved and began to understand that it was the automobile that brought all these fun people together. The people made it just that much better. Fast Forward 25 years and in 2001, I returned to Pittsburgh to help my parents with their blossoming family business. They asked me to come and help for a year and look at me now…. I’m still here! I’m not sure if it’s the cars or the people. I enjoy both. Dwight has been passionate about cars his entire life. With over 28 years in the automotive industry, focused exclusively on performance and luxury brands, he is always excited to discuss your next vehicle. His belief is that you can purchase a vehicle anywhere, but that with exceptional service you will be a customer for life. Ron will walk you through evey possibility that a new Porsche can bring. Always full of knowledge, he will be sure to answer any question that may arise. Martin is a car enthusiast along with an avid bicycler. With a wide variety of knowledge he will get you in the right Porsche today. Scott will handle your every need when it comes to our Pre-Owned vehicle selection. With a great understanding that every customer is different, he will pinpoint the right car for you. Mike is a car enthusiast and can answer any question you may have about your vehicle. He will be sure to explain everything about your vehicle in a timely manner and make sure you leave happy. Whether you are walking into the dealership or inquiring online, Ken will always put forth a professional attitude. Helping you gather the information needed in a timely manner, you will always be in good hands. Duane will handle all your service needs no matter how complicated. With a dedicated staff your vehicle will always be treated with great care. Brandon will always be sure your vehicle is done on time to meet your needs. Giving you constant updates as to what is happening to your vehicle behind the scenes. Justin will be sure to get the right part for any job. Customer satisfaction is his number 1 priority. Lauren is a true car enthusiast and always ready to greet you with a smile! Having been in the automotive industry for 4 years she is ready to help with your maintenance and service needs. Greg was attracted to Sewickley because he shares in our passion of the love of cars. That is how he found his home here. If you have met Greg you know he is enthusiastic and always ready to help!